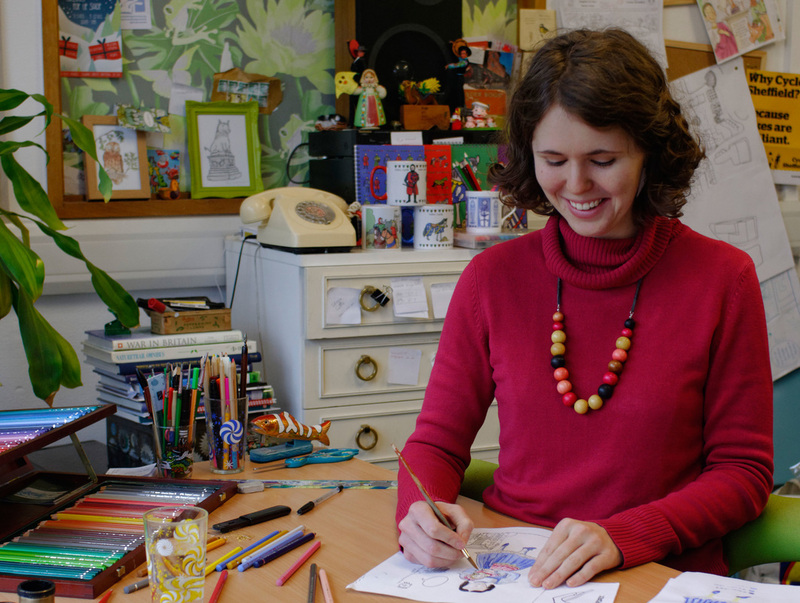 Emma has been providing beautiful hand drawn illustrations to the heritage sector for over ten years, ﻿working with historic sites, stately homes, museums, castles, visitor attractions and publishers throughout the UK. It was while studying at University College Falmouth that Emma worked on her first heritage project (a guide to the history of Cornish tin mining) and she's been hooked ever since. Emma doesn't only work with heritage clients (though these form a large part of her client base), also working with charities, publishers and design agencies. All Emma's artwork is drawn by hand using dip pens and ink. Colour is added with water colours and coloured pencils, or digitally (often a combination of both). "It's been a delight to work with Emma. The map she has produced for our educational workshops fitted the brief exactly. The finished product is fantastic - I can't wait to start using it! Emma made the entire process so easy, clear and straightforward. I would definitely recommend!" "The client love the illustrations! We are really pleased with them too - the interactive is going to be a lovely engagement piece for the younger visitors, so thank you for all your help. I really appreciate your professionalism and attention to detail in fulfilling the brief - it has been a smooth process (which isn't always the case!)."